Pittock Mansion may owe its existence today to a storm that nearly dealt it a fatal blow. On October 12, 1962, hurricane-force winds from the now-infamous Columbus Day Storm tore through Oregon, Washington, and Northern California, knocking down power lines, uprooting trees, and sending debris flying. Portland experienced wind gusts up to 120 miles per hour. Power went out across the city and telecommunications went silent. Across the Pacific Northwest, 46 lives were lost and billions of dollars of damage was done. Pittock Mansion was just one of many buildings found ravaged after the wind stopped howling. 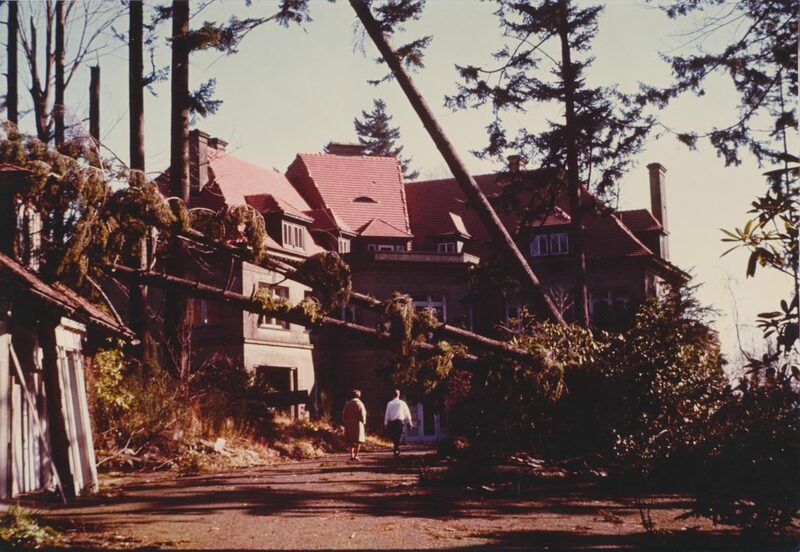 By the time the Columbus Day Storm hit Portland in 1962, Pittock Mansion had been vacant for several years. Peter Gantenbein, Henry and Georgiana’s grandson, was the only occupant of Pittock Mansion after over 40 years of housing a large, active family. Finding the grandiose home difficult to maintain, Peter moved out in 1958 and put Pittock Mansion on the market but was unable to find a buyer. The unoccupied mansion suffered extensive damage during the storm. High winds blew off one-third of the ceramic roof tiles, shattered windows, and toppled giant Douglas Fir trees across the estate. On January 31, 1964, The Portland Reporter ran an article complete with full page photos to warn the public of developers’ plans to purchase and raze Pittock Mansion to replace it with a subdivision. Outraged, Portlanders launched a grassroots fundraising campaign to save Pittock Mansion. After months of activism and $67,500 in funds raised by citizens, the City of Portland purchased the estate for $225,000. Repairs and restoration to the wind- and water-damaged estate took 15 months. Workers fixed broken windows and replaced missing roof tiles. They replastered walls and ceilings and flattened warped wooden floors. Original craftsmen, such as light fixture designer Frederick Baker, returned to help. 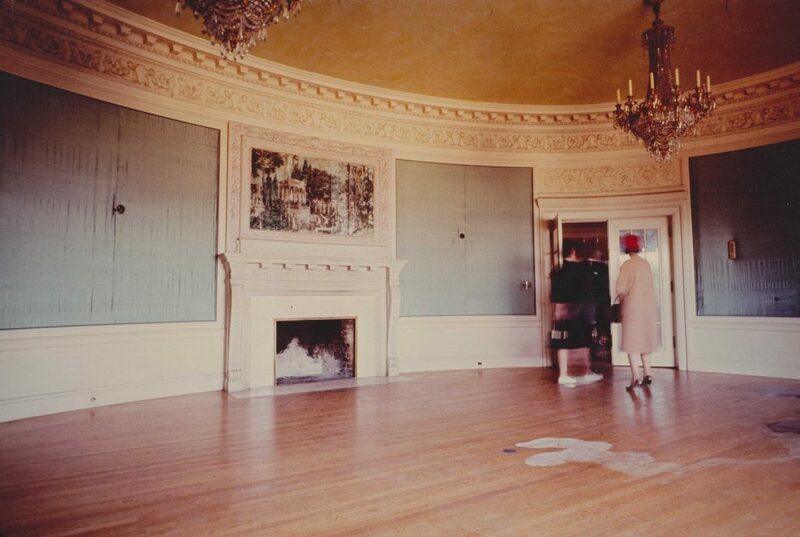 On June 4, 1965, a restored Pittock Mansion opened to the public as a historic house museum. Had the cruel Columbus Day Storm not threatened Pittock Mansion’s presence, the house may have sat vacant and forgotten for many more years. The carnage of the storm set off a chain reaction, threatening this piece of Portland history and then emboldening Portland’s citizens to stand together and preserve Pittock Mansion.